What a beautiful picture. 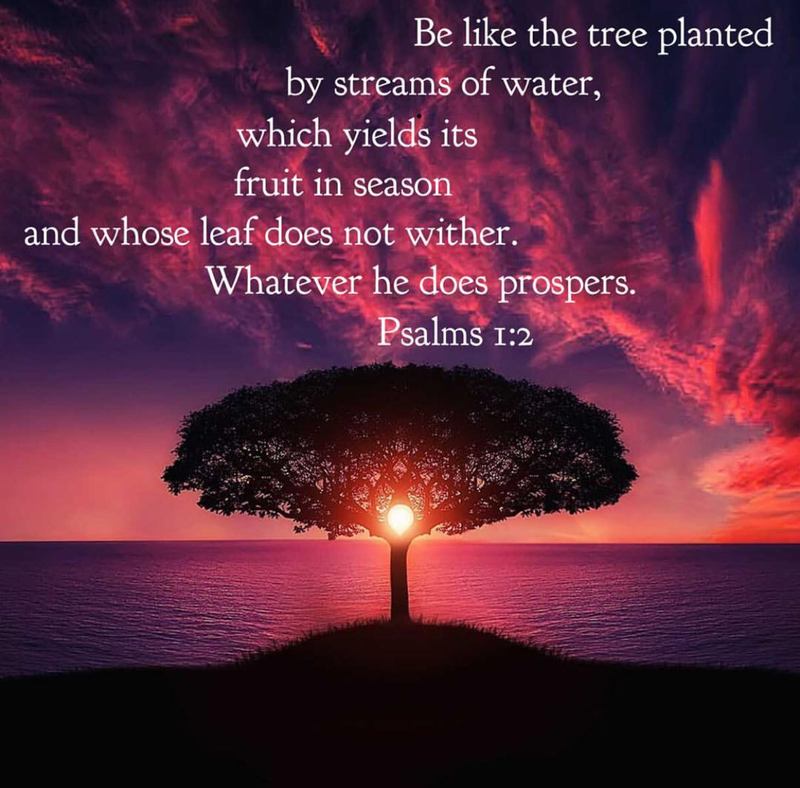 A tree that does not decay… bears fruit, always prospers. It would be nice to have a tree like that. How about being a tree like that! God’s desire is that you would bear fruit and prosper. And he gives you a pathway to do this in Psalm 1. First, he says to remove weeds from around your tree. Get rid of bad influences that would ruin the fruit. Don’t stand with sinners or sit with mockers. Instead, enrich the soil of your tree with the Word of God. This doesn’t mean just to read the Bible more. But the one who will prosper actually delights in what God says. He loves it so much that he commits it to memory. He thinks of it often. and on his law he meditates day and night” (Psalm 1:2 NIV). The person who hears and obeys God will prosper. He is guaranteed ongoing fruit. How is your soil? Is it full of the wrong influence of ungodly voices, or is it full of God’s Word? Be the tree God wants you to be. Delight in His Word. Meditate on it. Fruit and prosperity are on the way.